Following consideration of public petition PE1627 by Annette McKenzie on consent for mental health treatment for people under 18 years of age, the Committee has agreed to hold an inquiry into how young people access mental health services and treatments in Scotland. 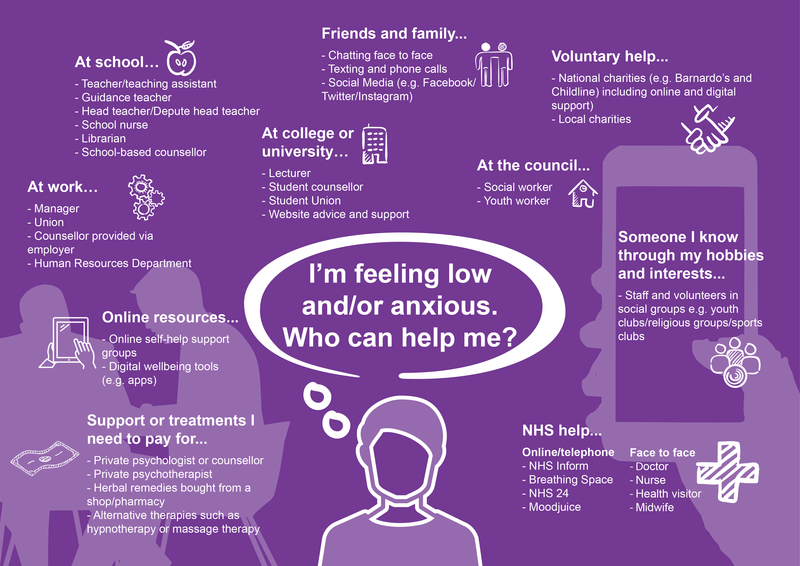 The inquiry aims to understand and suggest improvements on how young people feeling low and/or anxious can get the advice and support they need, particularly for the first time. What support would you be most likely to use first? What needs to change or improve? Is there anything that has been missed? Further information about the inquiry.